EVITARIUM® bath for relaxing and recharging. Electricity is everywhere – in Mother Nature and in our everyday lives. Inside our bodies, our automatic nervous system communicates via tiny pulses which control various mechanisms such as the contracting or relaxing of our muscles. A gentle electric current also flows through the eVitarium®, passing partially through your body as it does so. Read here to discover more about the beneficial effect of the eVitarium®. The RELAX setting offers your body the ultimate in relaxation. Here, a light current flows from your trunk to your feet. With this downward flow, the eVitarium® has a wonderfully soothing effect on your tissue and central nervous system. In other words: overstressed areas of your body regenerate faster. 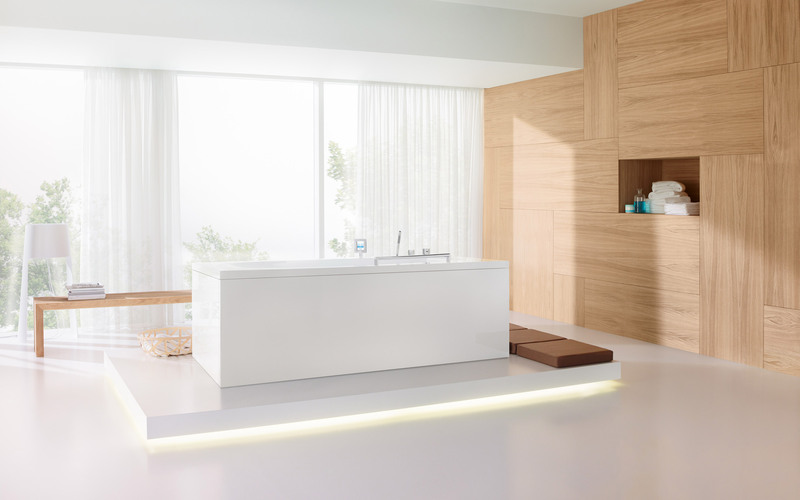 RELAX bath essence, which contains argan oil and soybean oil, complements this setting perfectly. Not only does it make your skin look beautiful, but the thyme and sage fragrances also have a relaxing effect on your mucous membranes. When the current flows from your feet to your trunk, it has an energising effect on your body. Your body fills up with new energy – rather like a rechargeable battery. ENERGY bath oil further enhances this effect – this ionised oil of the hippophae rhamnoides plant contains extracts of orange and mandarin fragrances and “flows” with the electrolytes to transport the energising goodness of these skin care agents deep into your skin. Turn on the taps, select your preferred setting and adjust the current – all these functions can be controlled via the eVitarium® touchscreen. The temperature of the water can be adjusted via the tap fittings. The detachable hand-held shower is handy not only for showering off, but also for cleaning the bath afterwards. 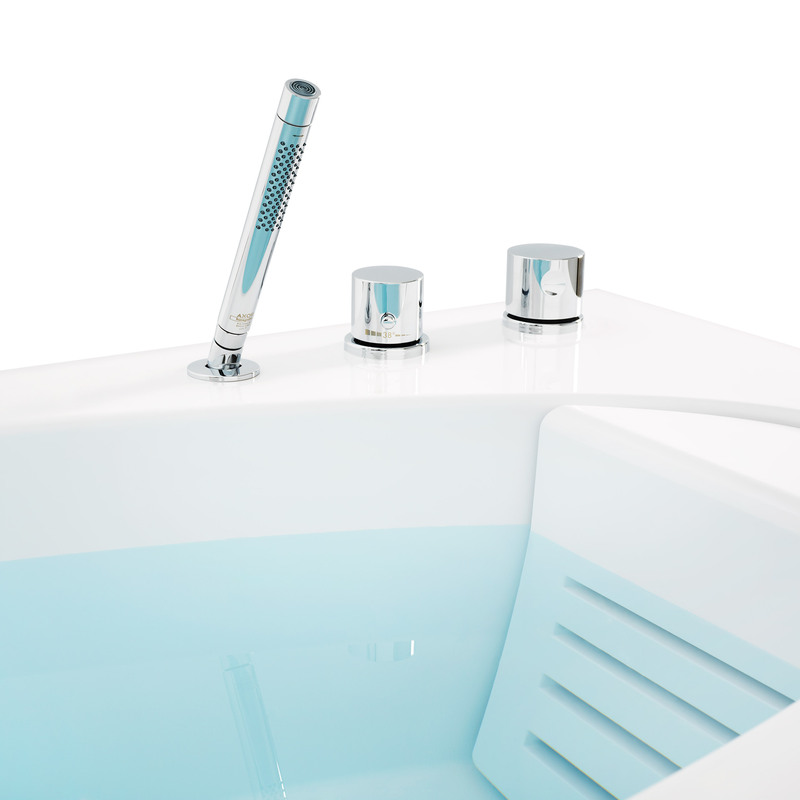 The main switch and the battery compartment are located at the foot end of the bath. 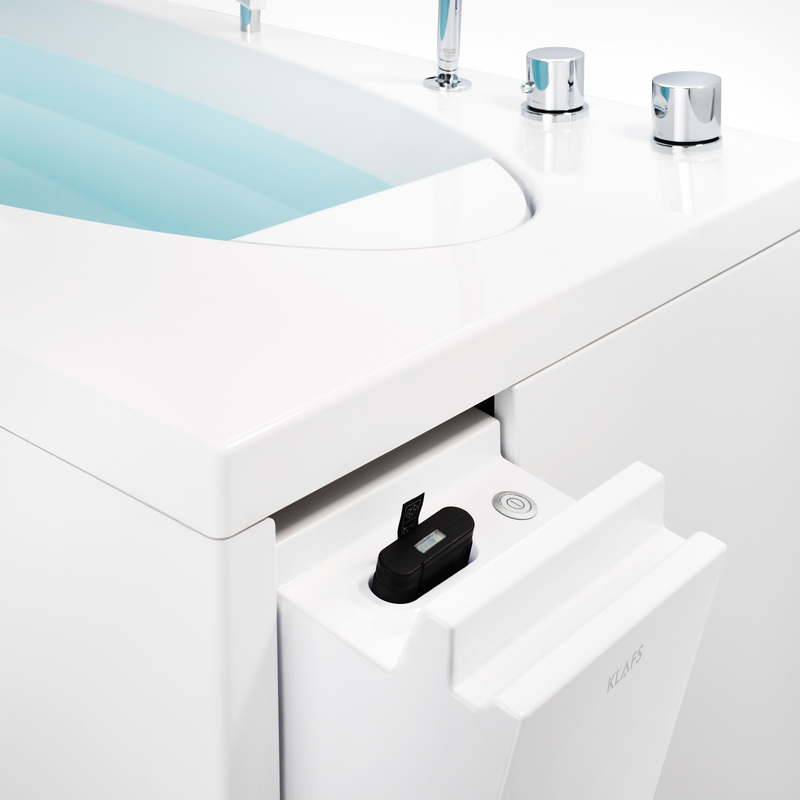 Once you’ve placed the rechargeable batteries into the compartment and pressed the main switch, the control panel slides discreetly back into the shell of the bath. The electrodes and taps are located unobtrusively behind the backrest and foot area. 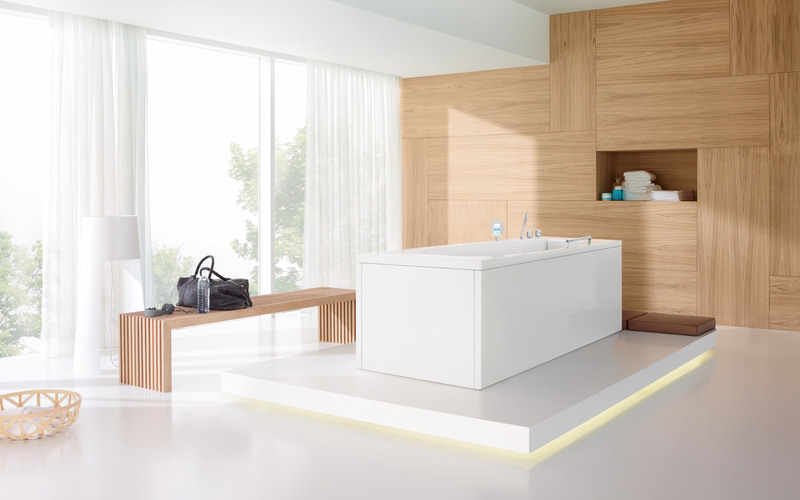 Depending on the setting you choose, colour LEDs bathe the water in different colours. 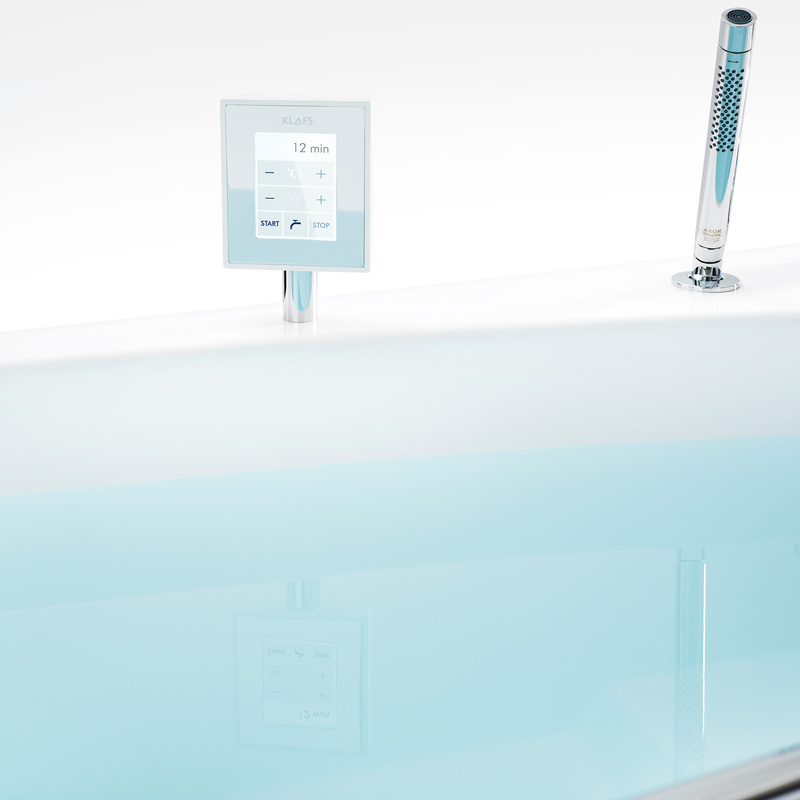 The modern relaxation and revitalisation bath with a gentle electric current. Light electrical pulses flow through your body and have a beneficial effect on your organism. Stimulates circulation by opening your capillaries. Supplies your muscles with the nutrients they need. 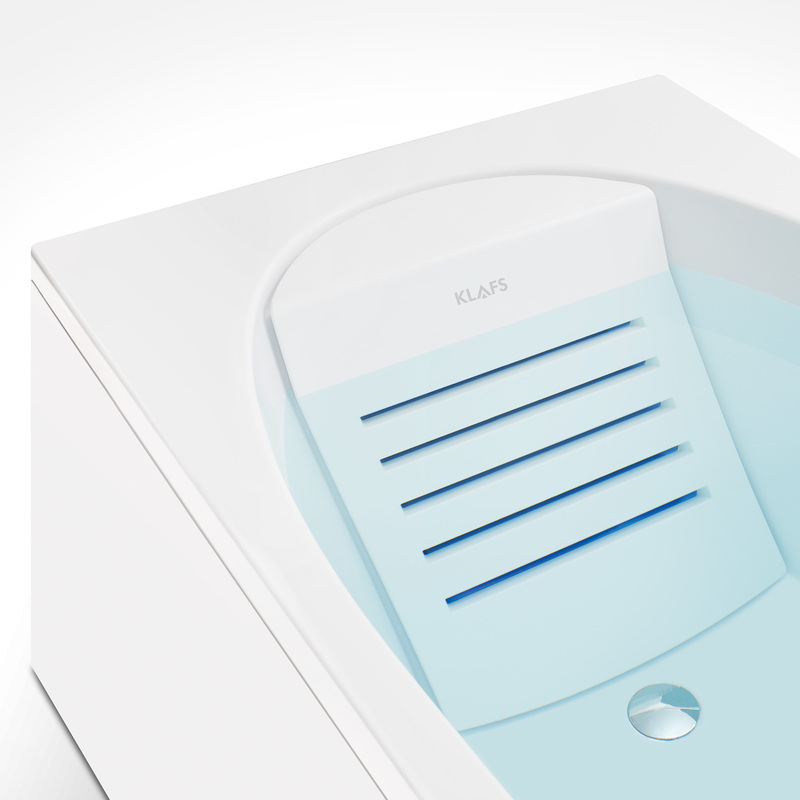 The control panel is located discreetly inside the shell of the bath. You can control the various functions via an intuitive touchscreen. The eVitarium® can be used to achieve a range of effects. The immediate “electrical” effect, for example, the beneficial impact of which is triggered directly by the flow of ions. Another effect results from carefully chosen ions when these are added to the bath oil and take effect in your skin, for example. The RELAX setting offers your body the ultimate in relaxation. Here, a light current flows from your trunk to your feet. In other words: overstressed areas of your body regenerate faster. RELAX bath essence, which contains argan oil and soybean oil, complements this setting perfectly. Not only does it make your skin look beautiful, but the thyme and sage fragrances also have a relaxing effect on your mucous membranes.